A modern, original and youthful design for the Aria chair. Aria is a light, stackable and very functional chair. 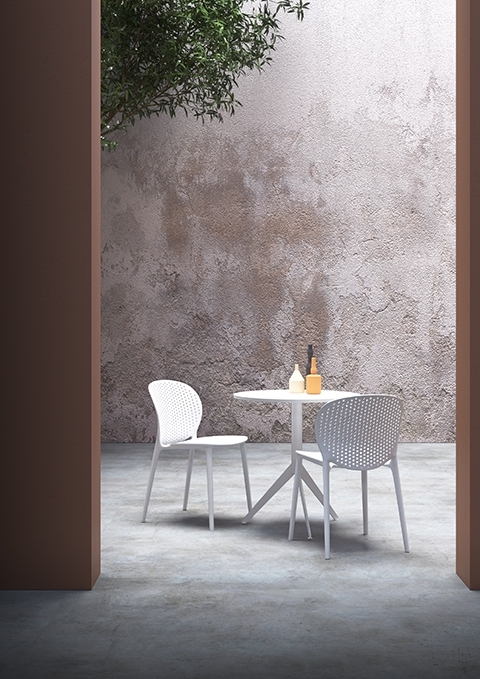 Its structure is made entirely out of polypropylene, Aria is a furnishing element signed and guaranteed by the Madrassi brand, Made in Italy.